Bill Riley was always insistent since the reveal of the initial entry list for the 2015 24 Hours of Le Mans in Paris, France two months ago, that the Riley Engineering-TI Automotive backed Dodge Viper GTS-R that he filed an entry for, would eventually make the field for the twice around the clock June classic. Despite being primarily viewed as a long shot chance at best to make the final cut, since the entry was posted just before the deadline and the fact that the Dodge Vipers were withdrawn from last year’s race due to the struggles suffered by manufacturer Chrysler in terms of financial numbers, the Riley entry managed to claim the first spot on the alternates list, ahead of several equally deserving entrants. Despite not making the initial cut of 56 cars, Riley began preparing like the team was in the field for sure. 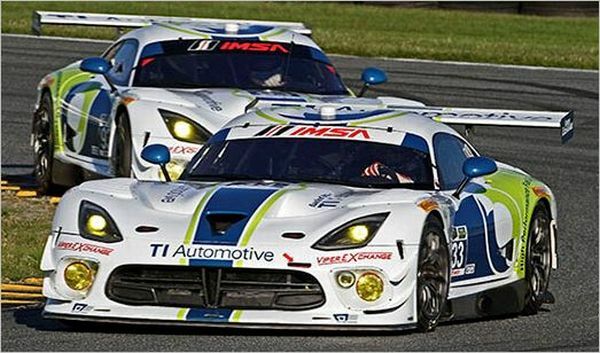 A testing program for the now privateer entry (Chrysler shut down the Dodge Viper factory racing program following the end of the 2014 TUDOR United SportsCar Championship), was set up. The team also began laying out the logistics for the voyage to France even committing to the mandatory Le Mans test day that occurs two weeks prior to the race itself, all this coming despite the fact they were solely on the reserve list. While this was going on, Riley Engineering was also starting to achieve success with another entry without factory backing, its Dodge Viper GT3-R in the GT Daytona division of the TUSCC. The team claimed victory in the season-opening Rolex 24 at Daytona and also hit the podium in the 12 Hours of Sebring in March. 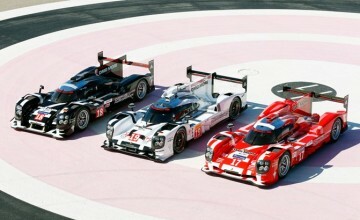 With the GTD division not competing this weekend in Long Beach, California, the team’s No. 93 entry currently leads in the GTD Team Championship standings with Al Carter and Cameron Lawrence tied for the top spot in the GTD Drivers’ Championship. On Thursday, the persistence of Riley finally paid dividends as the No. 53 Dodge Viper was added to the 24 Hours of Le Mans entry list at the expense of one of the LMP2 class Morgan open top prototypes owned by Team SARD-Morand, which elected to withdraw from the field. The Japanese-French connected squad did not participate last weekend in the opening round of the FIA World Endurance Championship due to financial concerns and despite being present on the entry list for the upcoming second race of the season in Belgium next month, the team will be represented by only one car as opposed to the initial two it was granted for both Le Mans and the FIA WEC. At this point for Riley, the team’s entry will participate in the GTE-Amateur division at Le Mans, meaning there are certain restrictions in terms of the driving trio they can present. In the lower grand touring classification, only one driver with a professional rating by the FIA (Platinum or Gold) can be on the team. That place has been filled by the presence of their designate driver and TUSCC regular Jeroen Bleekemolen of the Netherlands, who is a Platinum-rated pilot. The second position will be taken by his TUSCC teammate Ben Keating, an ever-improving American amateur. Marc Miller, a regular in the Continental Tire Sports Car Challenge championship, will fill the third driver role. As mentioned in Rubbings Racing’s GTE-Amateur preseason rankings last month, the inclusion of the Riley Viper at Le Mans adds another potential podium challenger to the fold, as the machine features a powerful eight liter, V-10 engine that will make it a match with any car it faces in the lower division on the Mulsanne Straight, including the equally stout V-8 powered mounts from Aston Martin Racing and Larbre Competition’s Chevrolet Corvette C7.R. Testing is expected to continue for the Riley team as the Le Mans test day and the race itself approaches in just under two months from now. 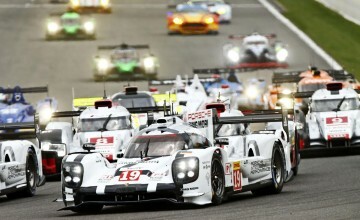 Stay tuned to Rubbings Racing for further updates on the road to the 24 Hours of Le Mans and other news in the world of sports car racing.